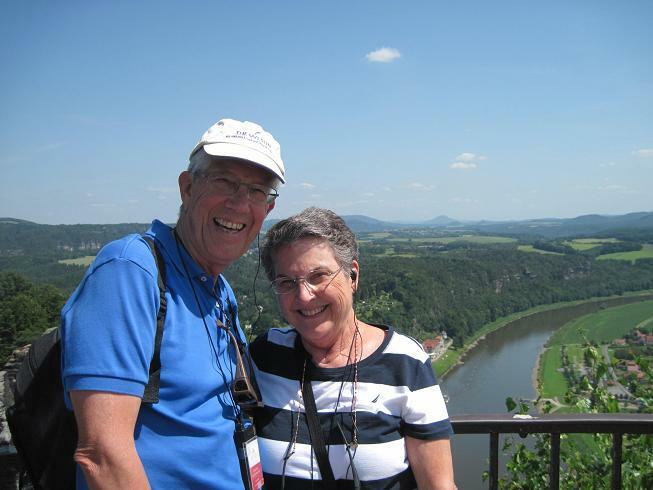 Mike and Sandy went on two back-to-back river boat trips during June and July of 2012. 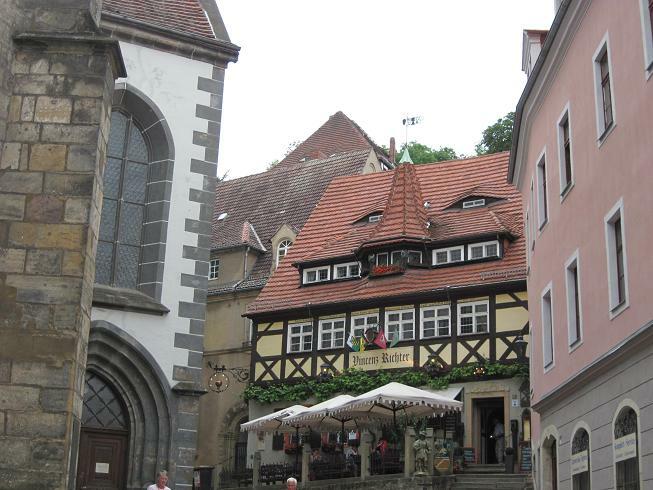 The first trip was on the Elbe River, from Berlin to Prague, on a Viking River Cruises boat, while the second was on the Danube River, from Prague to Budapest, traveling with AMA-Waterways. 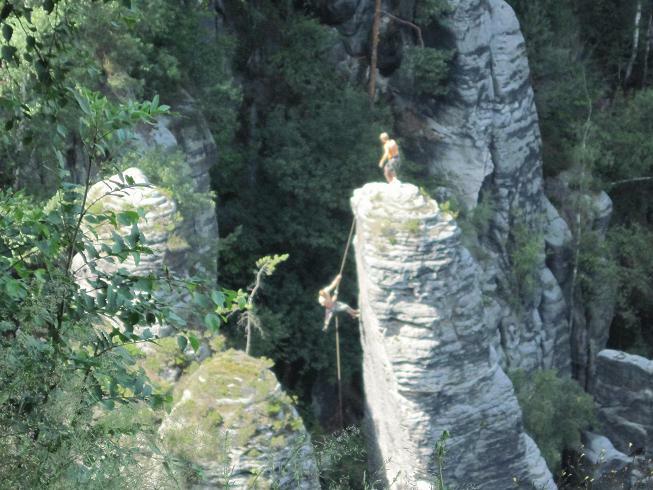 Here's a map of their route. 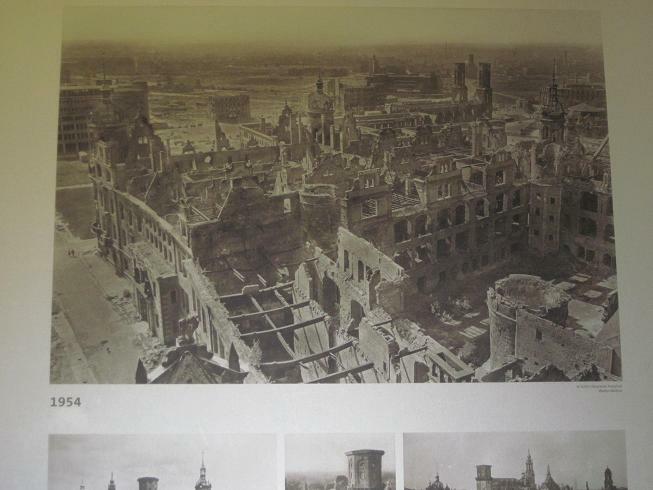 Flying to Berlin was more exciting than the usual fight, due to an airport being closed. 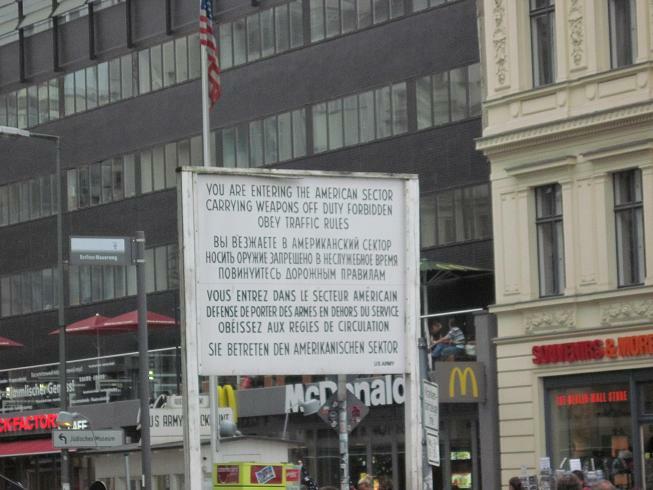 The Hilton Hotel in the old East German part of the city was their base. 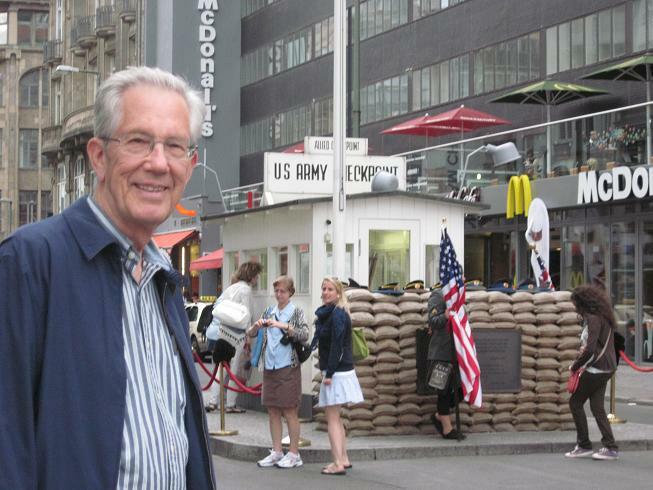 Near the hotel was "Check Point Charlie," famous from Cold War Days. 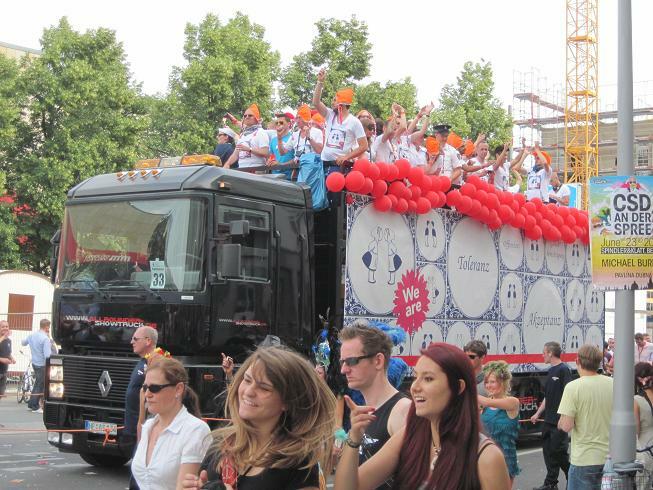 To their surprise, they stumbled onto a large gay parade. 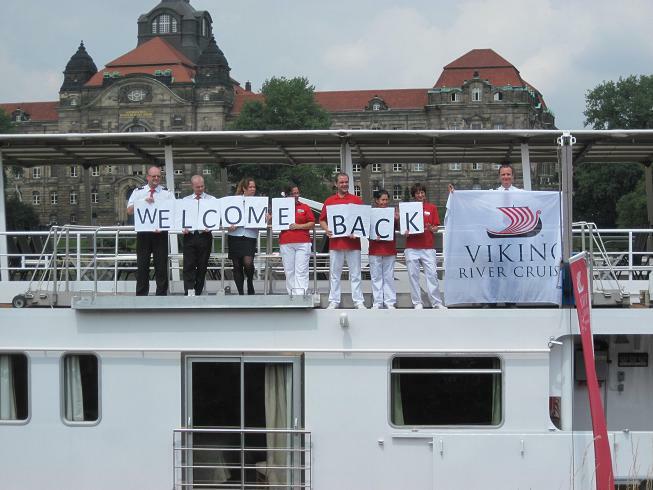 The next day the entire group headed by coach to Magdeburg, the town on the river where their Viking River boat was waiting. 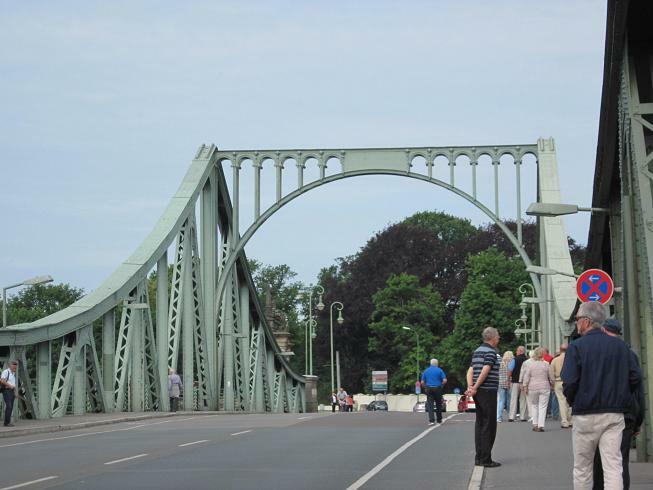 As they left Berlin, they walked across the Glienicke Bridge, the spot where U-2 pilot Gary Powers was exchanged for a Russian spy in 1962. 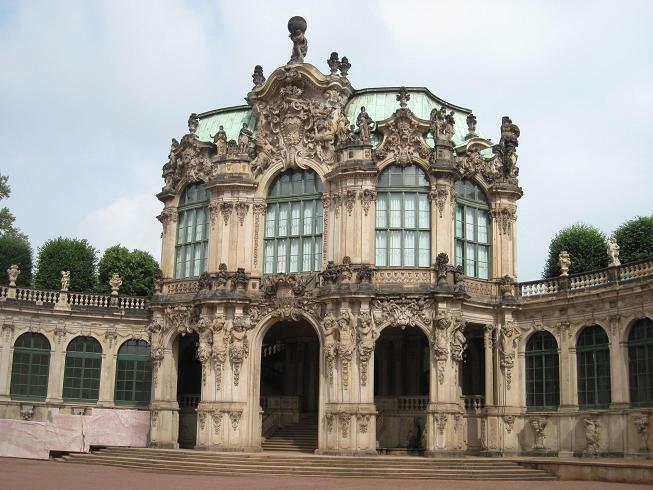 They also stopped at Potsdam, started by early Dutch settlers, and home to the Sanssouci Palace, built by Prussian King Frederick in the 18th Century. 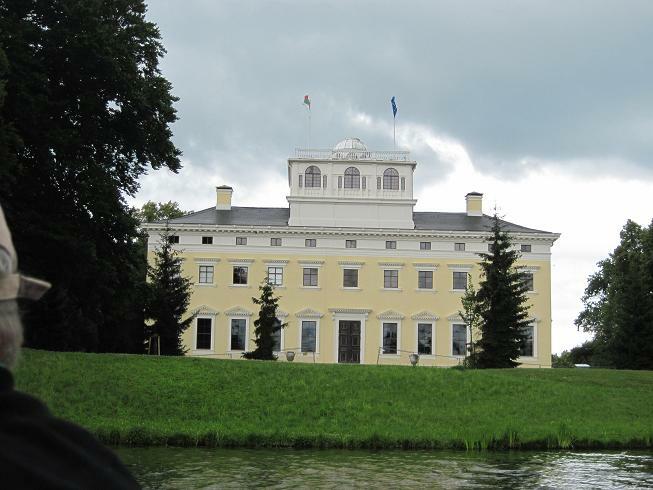 Also in Potsdam, they visited the palace that was the site of a fateful summit meeting (Truman, Churchill, Stalin) after WW II - this is the meeting that divided Berlin and Germany into sectors, setting the stage for the Cold War over the next 50 years. 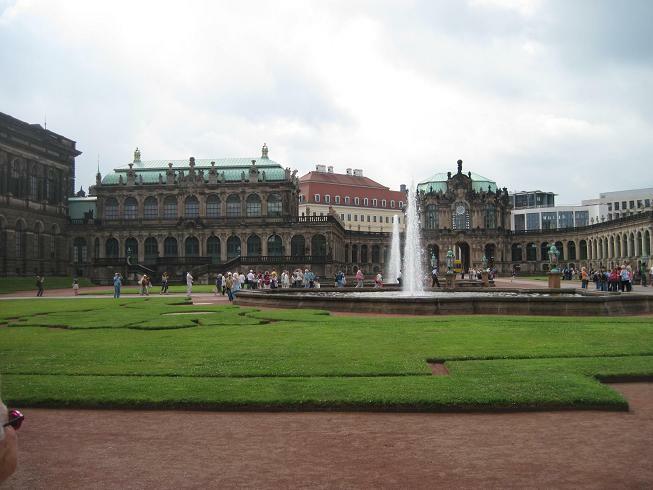 Also while in Potsdam, Truman gave the OK for the use of atomic bombs at Hiroshima and Nagasaki. 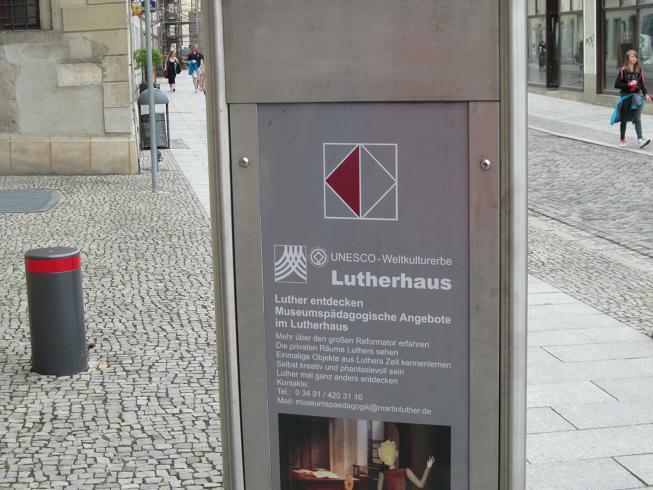 Then it was time to board the ms Schumann. 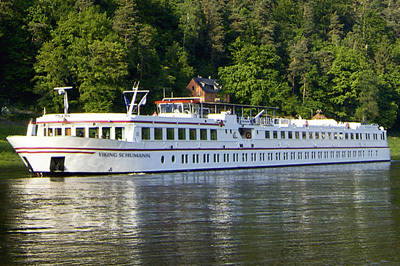 This 112 passenger river boat, has a quite shallow draft (less than 3 feet) and pump jet propulsion, especially for use on smaller European rivers, like the Elbe, which may not always have a large water flow. This size ship facilitates getting to know the crew quickly, and them to know you. 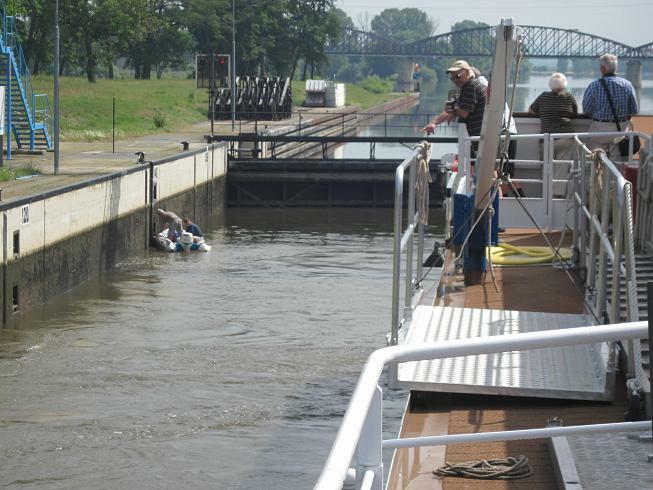 The Elbe had only a few locks to navigate, sometimes with "hitch-hiking" smaller boats. 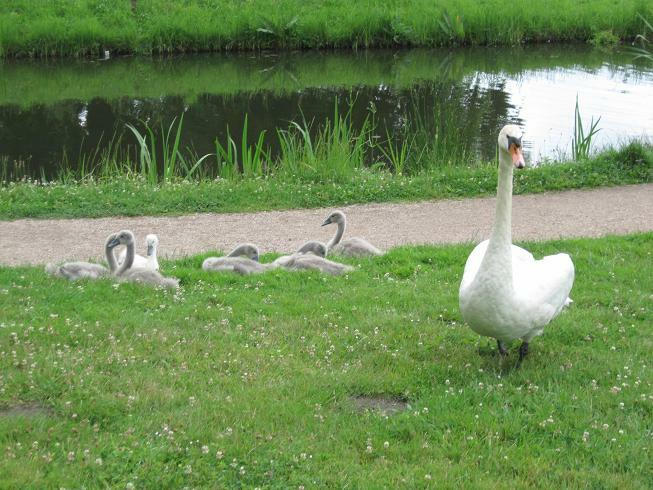 The next morning we arrived at Dessau, Germany, where we saw Worlitz Park, an enormous landscape park with a large lake, English-style gardens, and a family of baby swans, whose mother was not too keen on our walking on a nearby path. 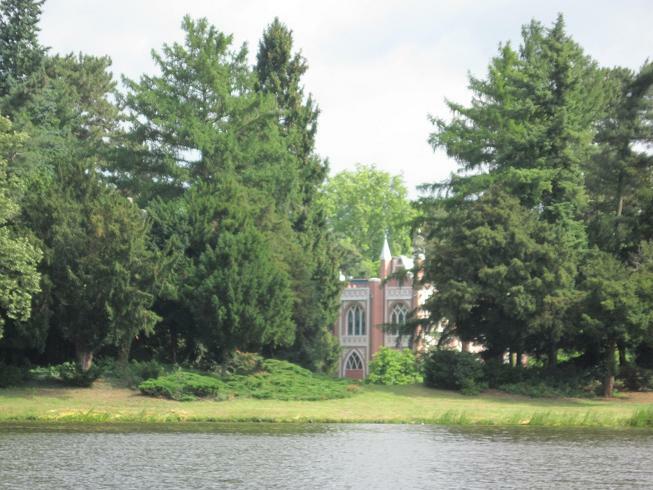 this was one of the first "public parks" in Europe, and is a UNESCO World Heritage site. 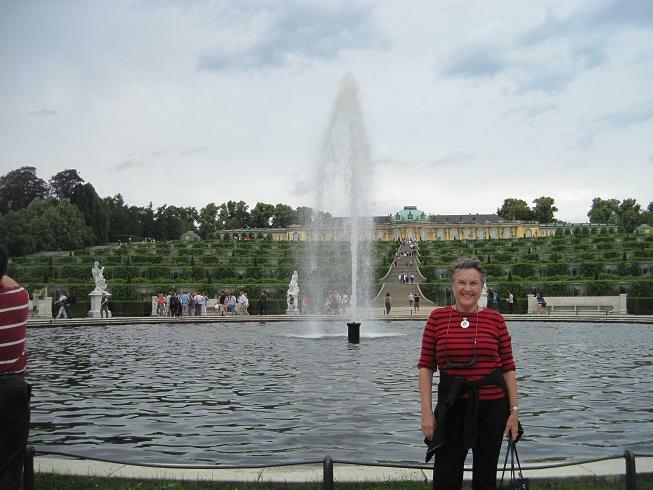 We enjoyed lunch on the ship, and We enjoyed lunch on the ship, and after an afternoon of cruising down the river, had a traditional German dinner on board. 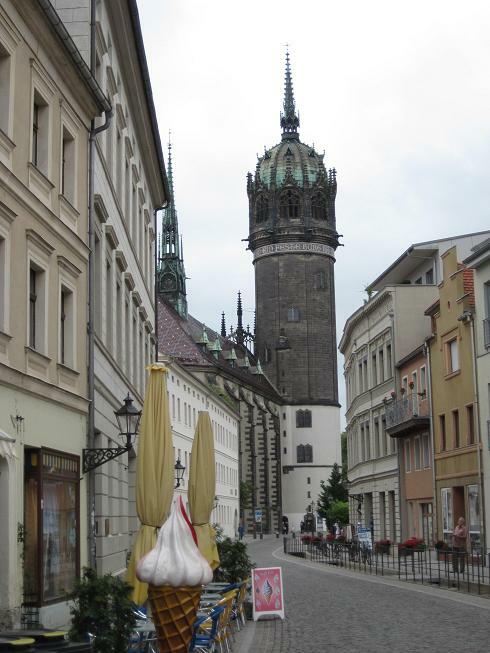 We reached Wittenberg before dark. 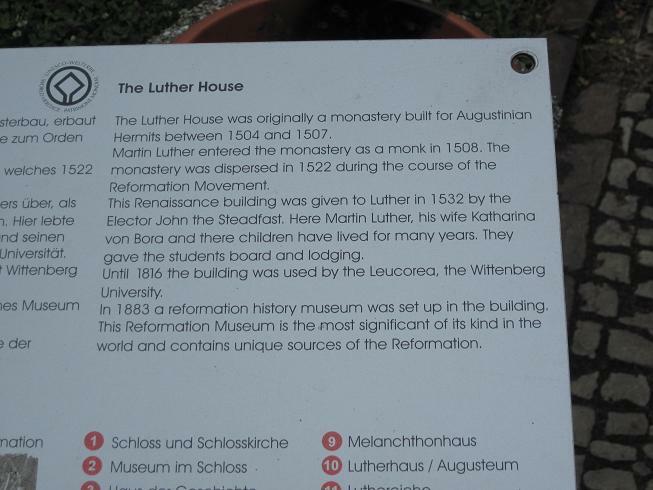 Mike and Sandy visited the monastery where Martin Luther lived in the town of Wittenberg -- it's now called Luther House, and is a museum devoted to Martin Luther's life. 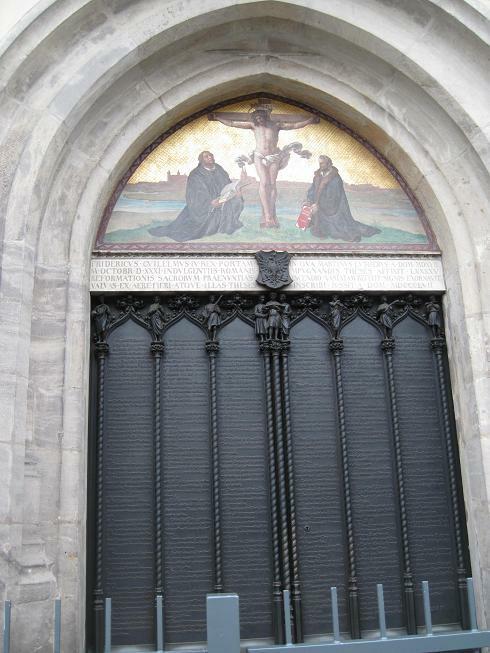 They saw the old church where he posted his 95 Theses, including a bronze door with the 95 on it -- the original wooden door burned in a fire years ago. 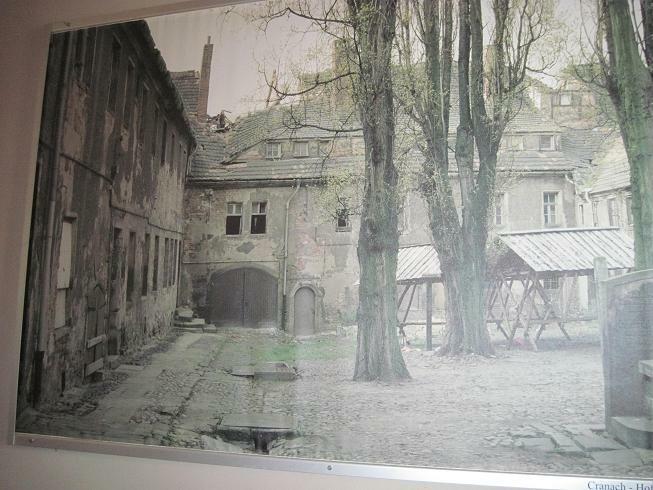 Wittenburg also had some pictures and displays of what life was like during the 40 years of Communist rule, including a picture in a court yard, which can be compared with the same courtyard today. 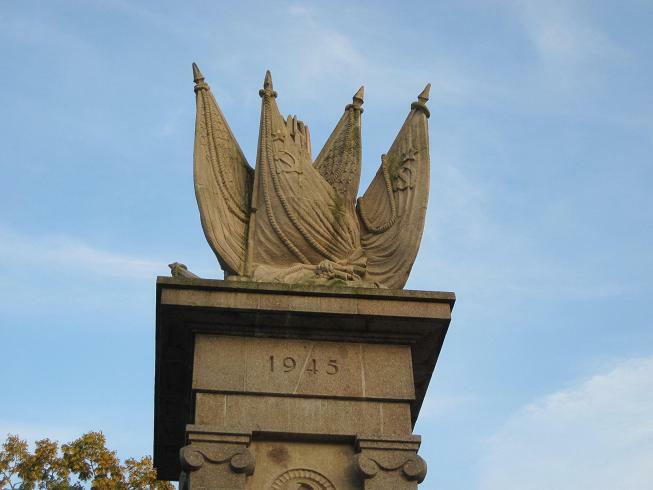 Leaving Wittenberg, we continued down the river, arriving at Torgau for an evening walking tour, seeing a monument marking the spot where in 1945 U.S. Army troops coming into Germany from the west met up with Soviet Army troops advancing from the east. 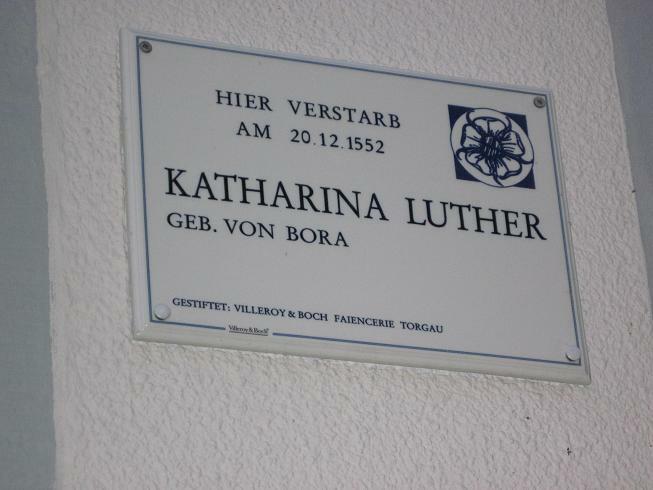 They also saw a huge castle-home, where one of the area rulers lived in the 1600's, and where Martin Luther's wife is buried. 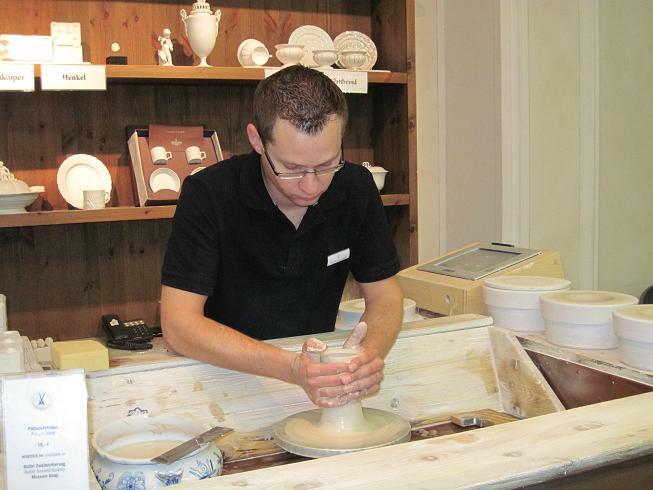 After cruising the river, we arrived at Meissen, with its famous porcelain factory, which has made china since the early 1700's. 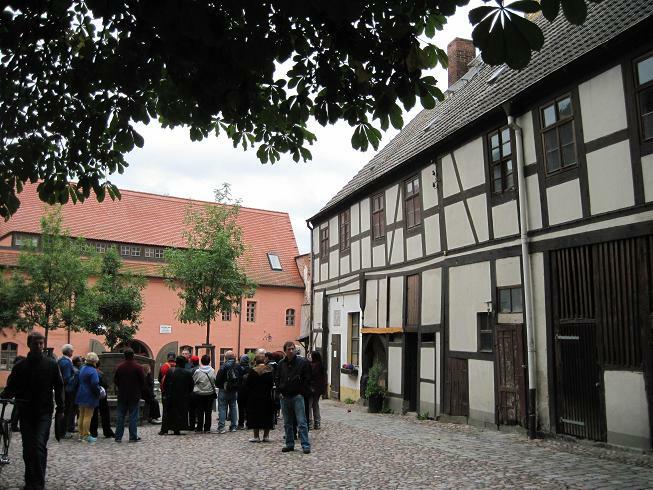 A tour, and the obligatory peek into the "factory outlet" store (thankfully, Sandy didn't buy anything! 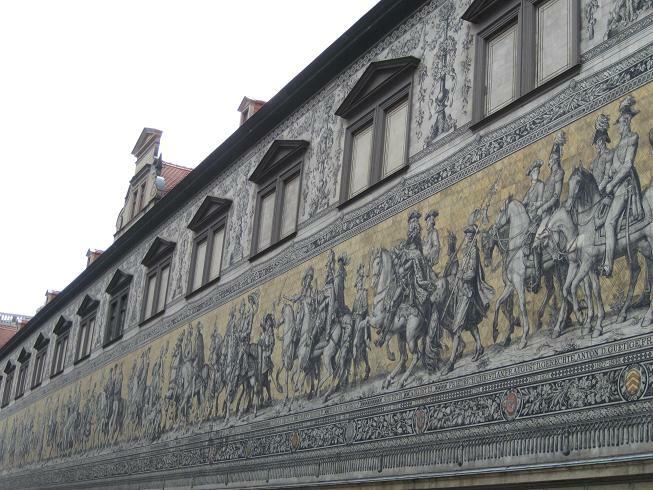 ), followed by a walking tour of the Old Town (including seeing the water marks from the Elbe River flood in 2002), and we were off again, heading for Dresden. 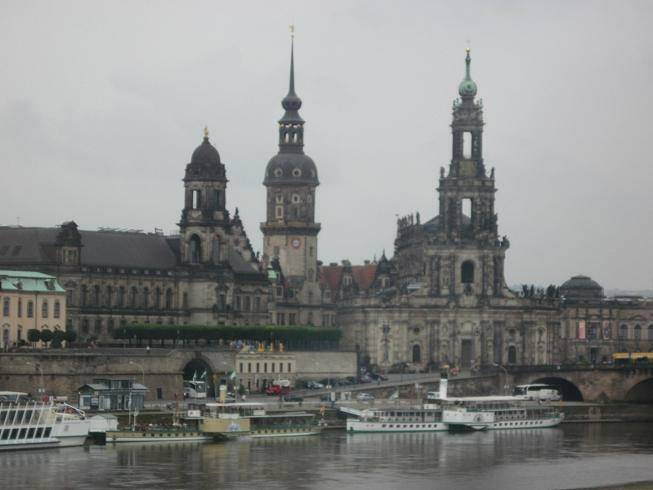 Dresden is one of the German cities almost totally destroyed during WW II. 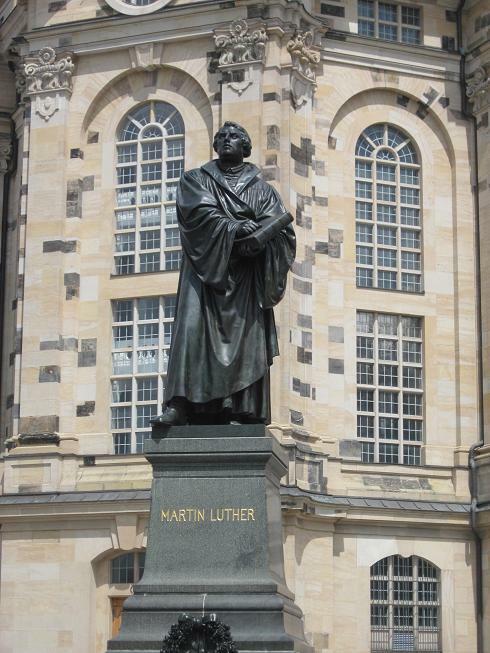 We saw Dresden Castle, Zwinger Palace, the Opera House, and several churches. 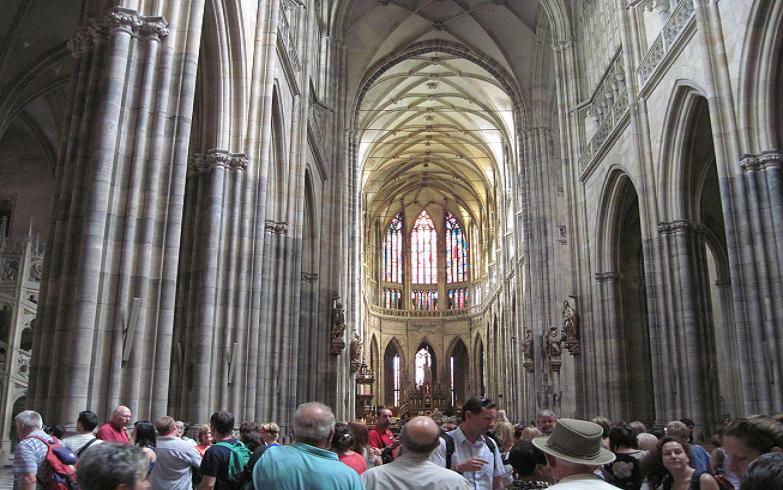 The largest, The Church of Our Lady, is unusually constructed in a theatre style, with 3 balconies. 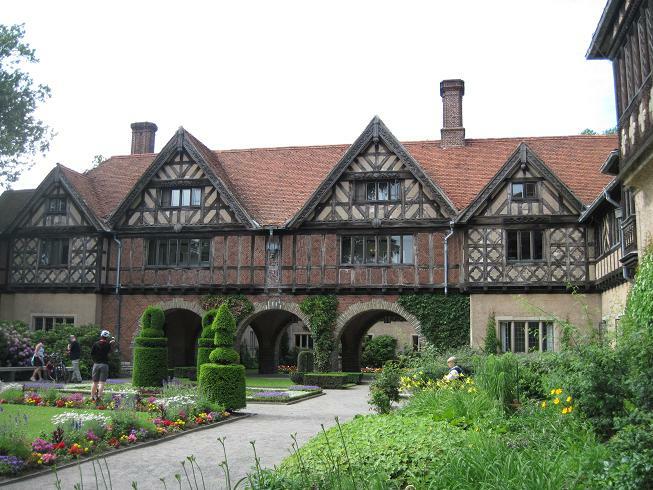 It was destroyed during the war, but now is fully restored, just as it was originally built in the 1500's. 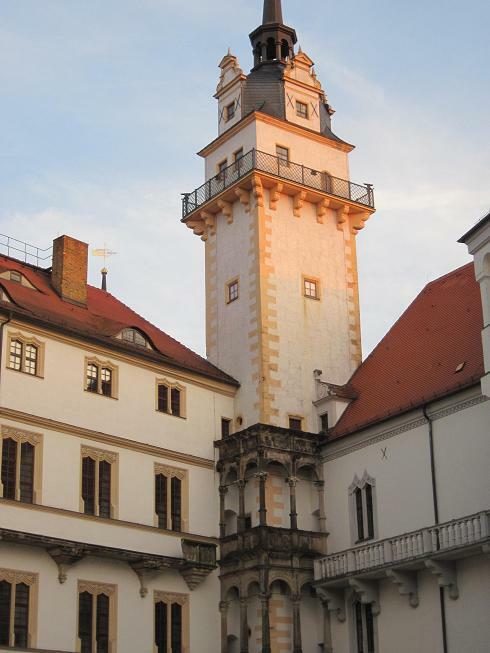 A museum in the castle has an enormous treasure collection, with gold, porcelain, jewelry, and precious stones, including a 41-carat green diamond. 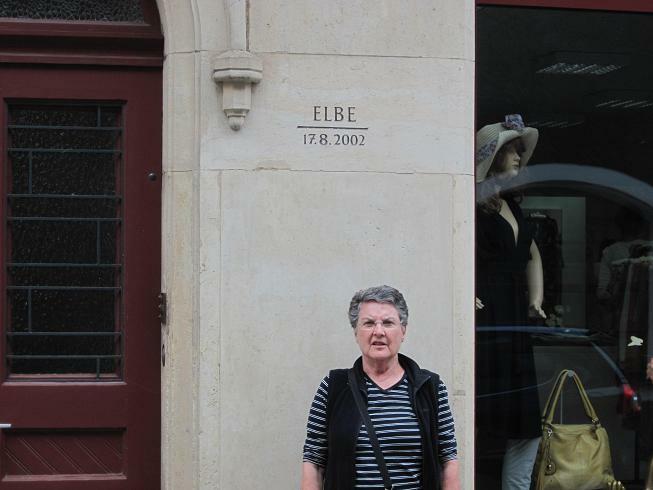 Sandy had time to visit several shoe stores in the nearby shopping mall, as she has enjoyed several German brands in the past, but didn't find any that were "just right." 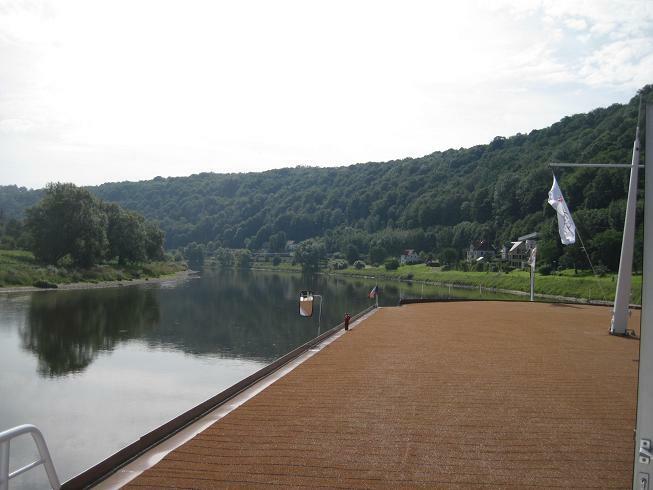 A morning of cruising along the river brought all sorts of sights. 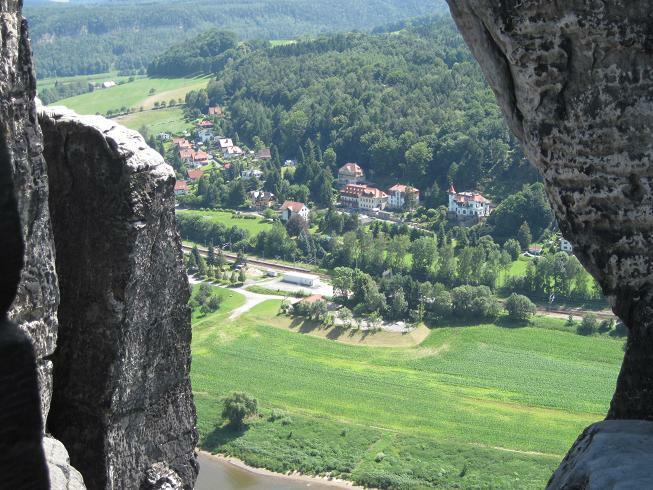 This part of the Elbe has both steep slopes with almost 1000-year old vineyards and beautiful flat meadows. 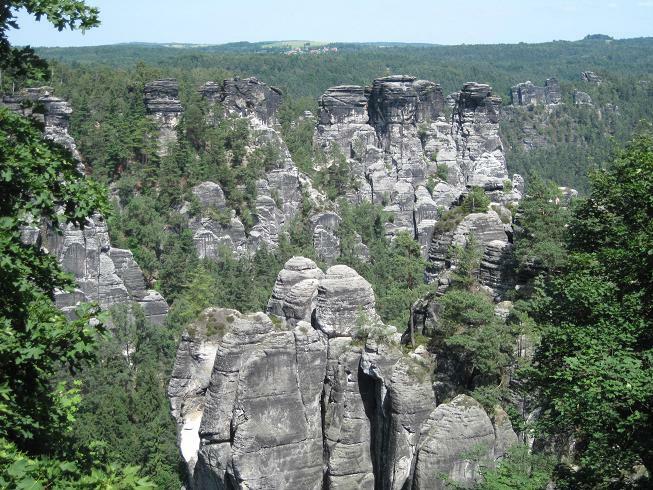 We stopped at the Elbe Sandstone Mountain range, with forests and huge sandstone rock formations, known locally as the Saxon Switzerland. 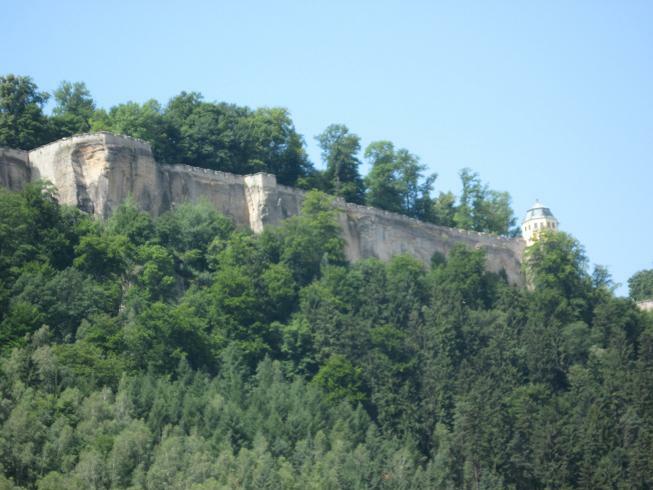 Docking at the town of Bad Schandau, we went up to a rocky promenade for a panoramic view down to the river way below, and of the rocky cliffs frequented by serious rock climbers. 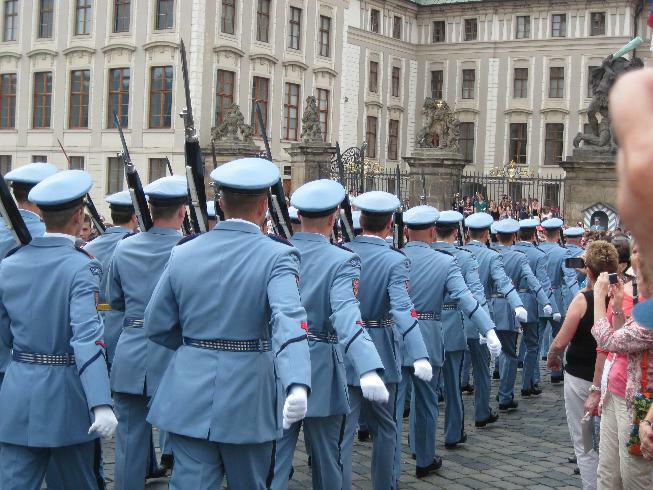 The next morning we said goodbye to the ship, and made a short drive into Prague. 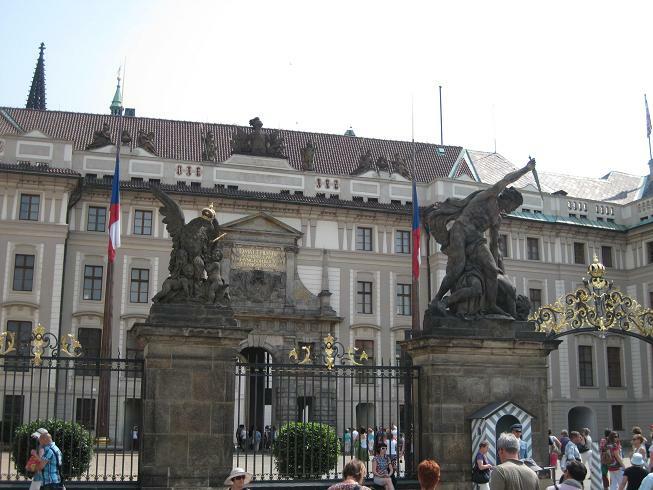 The huge castle and cathedral on top of the hill, the Charles Bridge crossing the river (pedestrians only), and the "Old Town" were highlights. 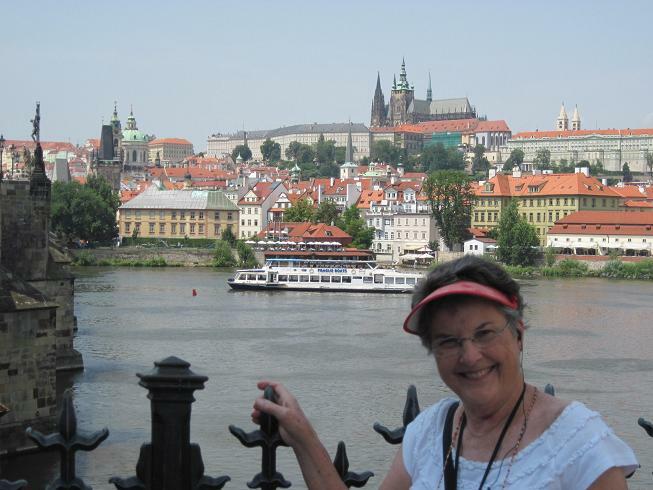 Mike and Sandy joined their church group the next morning for a litle more time in Prague, and their next riverboat trip on the Danube.